Camerich Los Angeles, the swanky West Hollywood U.S. flagship showroom for the international contemporary furnishings company was abuzz with flowing cocktails, dumplings, and Chinese New Year acrobatic, playful dancing dragons. Immortals Lion Dance Team performing. The Tuesday evening show featured two Chinese lions chasing one another through the store and on to the back patio where a ceremonial dance seeking blessings and good fortune for the coming year was performed through puppetry and acrobatics by the dancers inside each of the elaborate lion costumes. 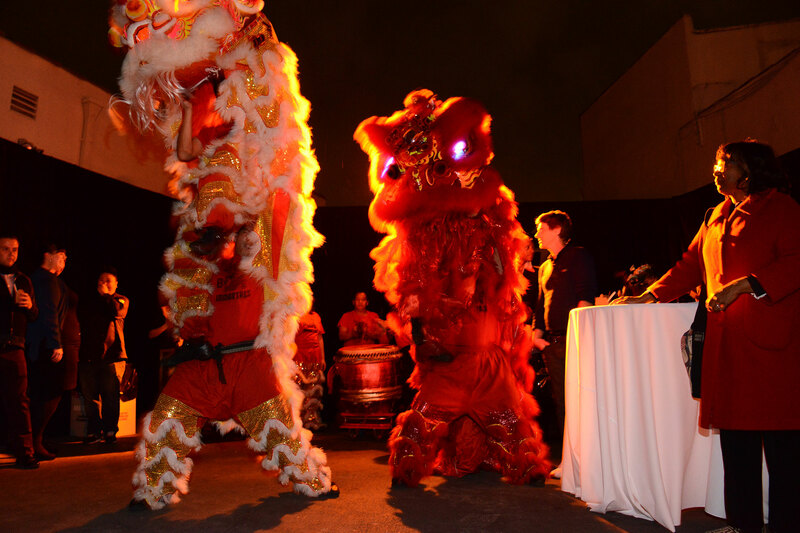 To commemorate the Chinese New Year, Camerich LA, the stylish upscale furniture store, hosted a private party for a select crowd of about 100 guests. Michael Lin and Stephen Bianchi, the owners of Camerich LA, choose to host their event on February 4th, the fifth day of the festival, as it is also the birthday of Guan Yu, the God of Wealth, in hopes of ensuring Guan Yu’s favor and bring good fortune to all in attendance. Wooing the God of Wealth was important to Lin considering that the event also served as the kick-off for the store’s “Month of Giving” campaign in which Lin and Bianchi have pledged to donate 10% of the store’s sales for the month of February (or $10,000, the cost to provide 2,000 client meals – which ever amount is greater) to the community service organization Project Angel Food. 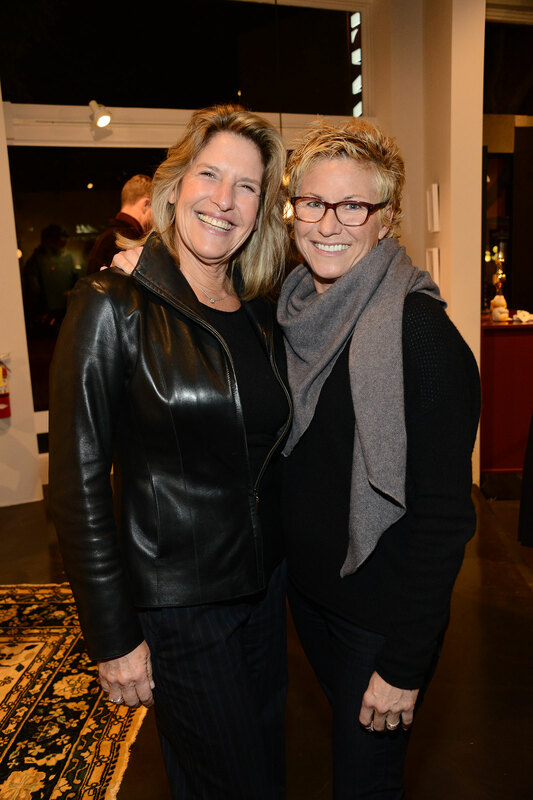 Project Angel Food CEO Laurie Lang with wife, Debbie Koltun. The after-hours event featured delicious bites by Bling Bling Dumpling, gorgeous floral arraignments by Flowers in Beverly Hills, an Art Salon with new works by photographer Steve Erle and artist Heins Kim and of course an array of the high quality modern furniture from well-crafted sofas and dining chairs to unique coffee and side tables that exemplify the Camerich brand and lifestyle. 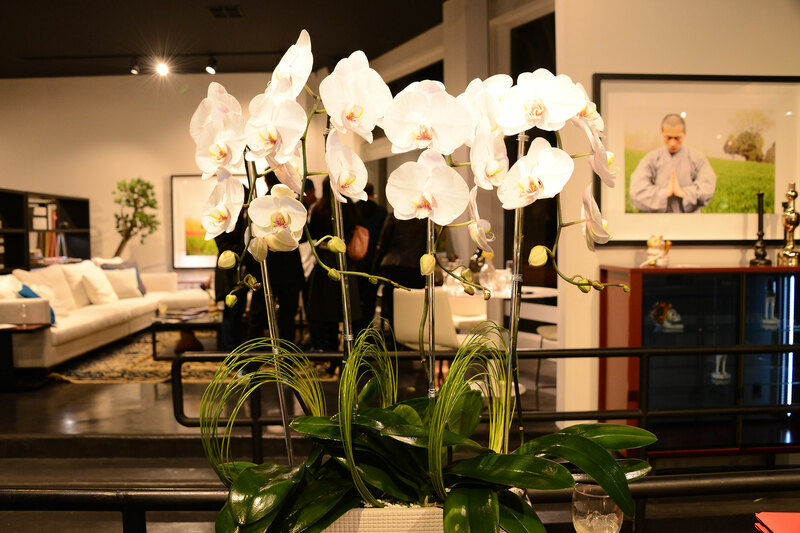 Inside the Camerich LA showroom. Bianchi and his partner, Lin, have been fans of the non-profit for many years and are happy that they are now in a position to make a significant contribution. They also donated several pieces of hi-end furniture to Project Angel Food’s Divine Design charity sale in December. West Hollywood Mayor Abbe Land commended Bianchi and Lin on their civic mindedness and their actions in making community involvement a priority. Also, Project Angel Food’s new CEO, Laurie Lang, spoke of the agency’s many seriously ill, homebound clients who depend on the agency to provide healthy, nutritious meals on a weekly basis. There were many interesting people in attendance. 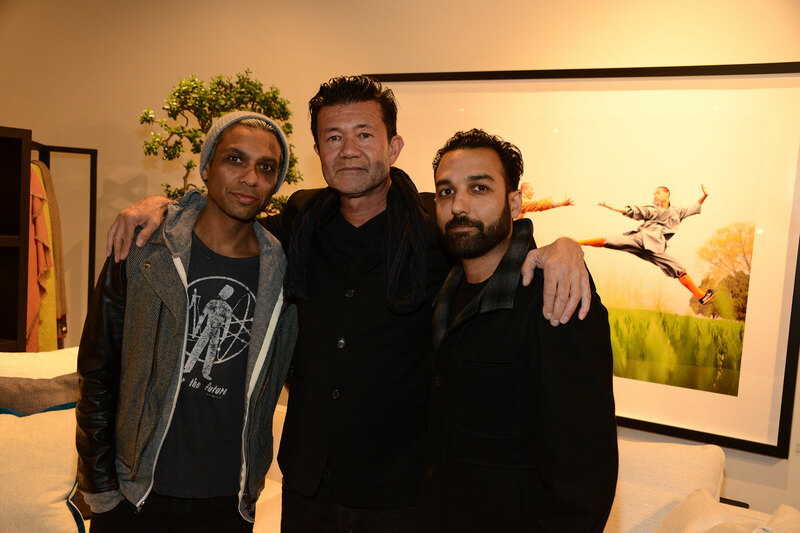 I loved seeing No Doubt’s Tony Kanal, who attended the event with his brother Neil Kanal and Ruby Stewart in support of good friend Steve Erle. 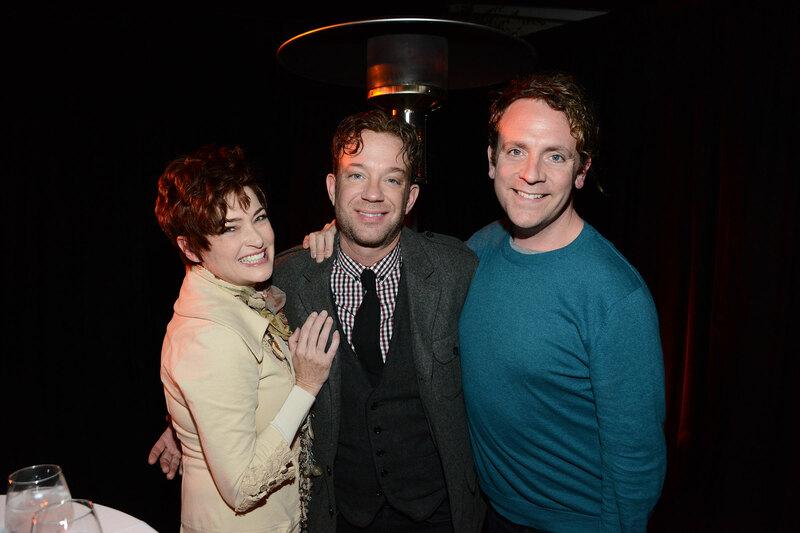 Many guests who are long-time supporters of Project Angel Food showed up, like comedic actors Drew Droege and Sam Pancake. Whedonverse actor Tom Lenk was caught soliciting opinions via text on a lamp he found in the showroom, which he thought might be right for a newly redecorated room at home. General Hospital’s Carolyn Hennesy graciously posed for photos. Jack Plotnick, of “The Mentalist,” was more than thrilled to be back in Los Angeles enjoying the warmer weather and the music from DJ Colin Kim on the Camerich LA back patio. Other fun guests included reporters Marcellas Reynolds, Chi-Lan Lieu and Justin Howard; artist Gregory Siff; writer/director Pen Densham; Splash Magazines’ publisher Lawrence Davis; Bruce Seidel, Digital Media Strategist, and former CEO, Electus’ YouTube Food Channel; New Filmmakers LA’s Larry Laboe and Susie Kim; Hillary Atkin of The Atkin Report; Effie Magazine’s F. E. Cornejo and Nicholas Cacarnakis; and Project Angel Food board members Faye Moseley and Robin Fujimoto. 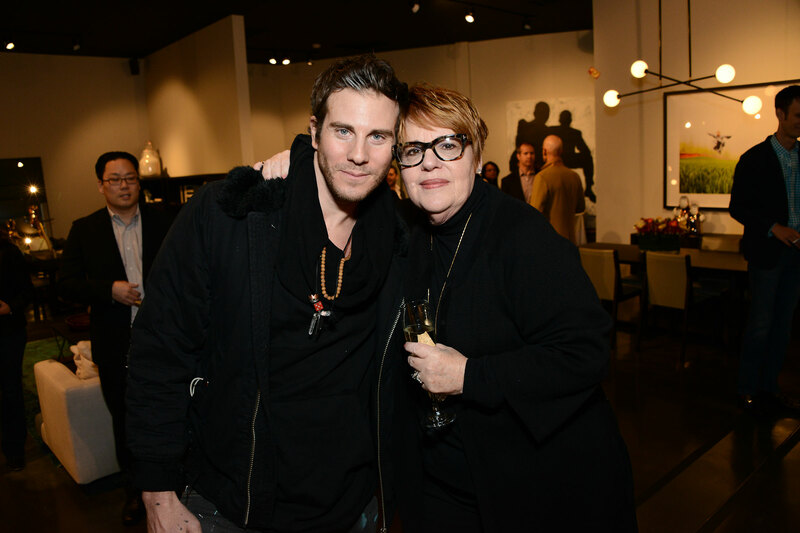 Artist Gregory Siff; Project Angel Food’s Jacqui Farina. Thank you Camerich Los Angeles for giving back to the community. Hopefully, we will see more successful LA business owners doing the same, and perhaps choosing to support Project Angel Food.